Courtesy of King Merritt, Sibcy Cline Inc.. 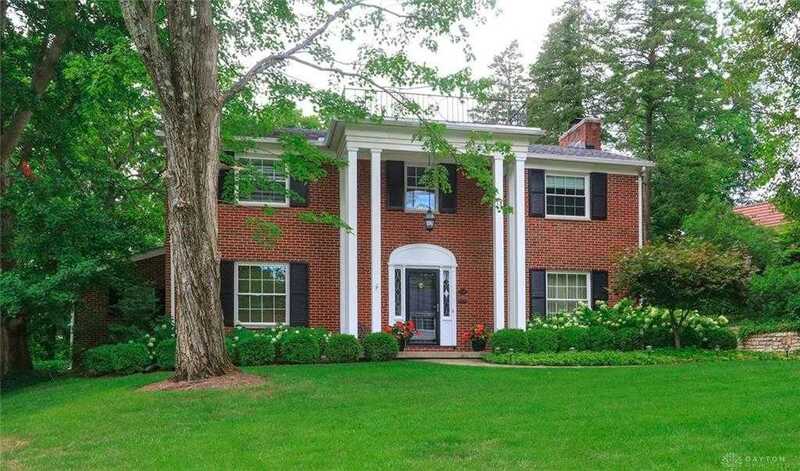 Stately Colonial brick home, 4BDR 3 1/2 baths; Oakwood premier neighborhood. Remodeled gourmet kitchen with breakfast area, opens to large great room with WBFP/gas remote, oak floors, wonderful natural sunlight. Kitchen features: custom maple cabinets, SS appliances, Thermador gas cook top, two convection ovens, Subzero frig/freezer. Large living and dining rooms with french doors to flagstone patio and private backyard. First floor large bedroom with full bathcould transition to office/study. Second floor large master suite with updated bath. Two bedrooms with remodeled full bath. Move in ready with fresh paint, new carpet. xD; xA;Lower level large rec room; area perfect for exercise equipment. Laundry room and ample storage. Other pluses attached garage, newer AC, water softener, air filter, sprinkling system (not warranted) & meticulously manicured landscaping. Don x’t miss this home! Please, send me more information on this property: MLS# 785676 – $475,000 – 1345 Devereux Drive, Oakwood, OH 45419. I would like to schedule a private showing for this property: MLS# 785676 – $475,000 – 1345 Devereux Drive, Oakwood, OH 45419.